Mercedes-Benz Country Hills prides itself on a second-to-none Guest Experience. No matter what your requirements are, we will do our absolute best to facilitate your needs. Our Brand Specialists are well equipped to answer any questions you may have about purchasing your vehicle. Throughout the purchasing process our Brand Specialists will also be in constant communication when your vehicle moves through the process. 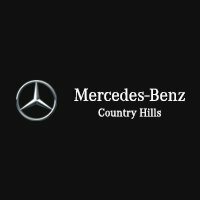 We understand purchasing a vehicle from a distance can be daunting but the staff at Mercedes-Benz Country Hills will alleviate any of those concerns. To submit a purchase request please click below. (Click drop down arrows for more information). See what taxation payments are necessary for your vehicle purchase. When purchasing a vehicle from distance you must take into account where and how much tax you pay. Quite simply, the tax percentage which you pay is determined by the province in which you live. During the purchase process the dealership will charge you a 5% GST rate. 1. Charge the customer the applicable PST/HST rate from their home province. 2. Charge a 5% GST rate, then the customer pays the remaining tax percentage when they register their new vehicle in their home province. If any of your questions were unanswered please inquire with your brand specialist or sales manager. Don’t want to pick up your new vehicle? We can send it to you! Past customers frequently choose to ship their new vehicles, this ensures that the kilometers you see on the odometer are reserved for your driving pleasure, rather than ferrying the vehicle home. Our experienced shipping companies are a trusted partner and we all share a customer first mindset. Throughout the shipping process you can rest assured your Brand Specialist will be in contact with you regarding your vehicles progress. You can expect photo and video updates as your vehicle passes milestones on its way to you! Shipping costs vary on size and type of vehicle. To give you the most accurate information possible please reach out to us and inquire about shipping prices to your location. There are plenty of questions to ask, here are some we hear often. How do I know that my vehicle is in good condition? As Calgary’s largest luxury dealer with an impressive array of pre-owned vehicles, we provide you with all of the information that you will need to make a purchase decision including Car Proof accident and claim reports, mechanical reports and a full personalized video of the vehicle you are looking to purchase. Our shipping partners are fully insured and any new damages found after transport will be rectified. Your Brand Specialist will send you a final video walk around on your vehicle after it has been detailed, and before delivery so you have record of the condition before it leaves our dealership. Our shipping companies are partners, and we work together to ensure that you, our mutual client, are taken care of. When does my vehicle require an inspection? If you are purchasing a pre-owned vehicle and shipping it from Alberta to another province, you will require an out of province inspection. This inspection is completed to ensure your vehicle meets the motor vehicle standards of the province which you are bringing it into. All our pre-owned inventory are recondition in a manner that will pass any and all out of province inspections. Where does my vehicle get shipped to? The shipping company will work with you and the dealership to set up a convenient time and location for you to take delivery of your new vehicle! Our Brand Specialists and Sales Managers can offer suggestions during the transaction as to where and how you should take delivery. Here are some financial alternatives when purchasing your vehicle. We deal with numerous banking institutions across Canada, we guarantee to find you the most comfortable payment plan for your lifestyle. With such a large array of banks to choose from, they provide us access to the most competitive finance rates going. Mercedes-Benz Financial Services, BMO, TD, Scotia, and RBC are just a few of our committed partners. Curious what others think of our service? See below.